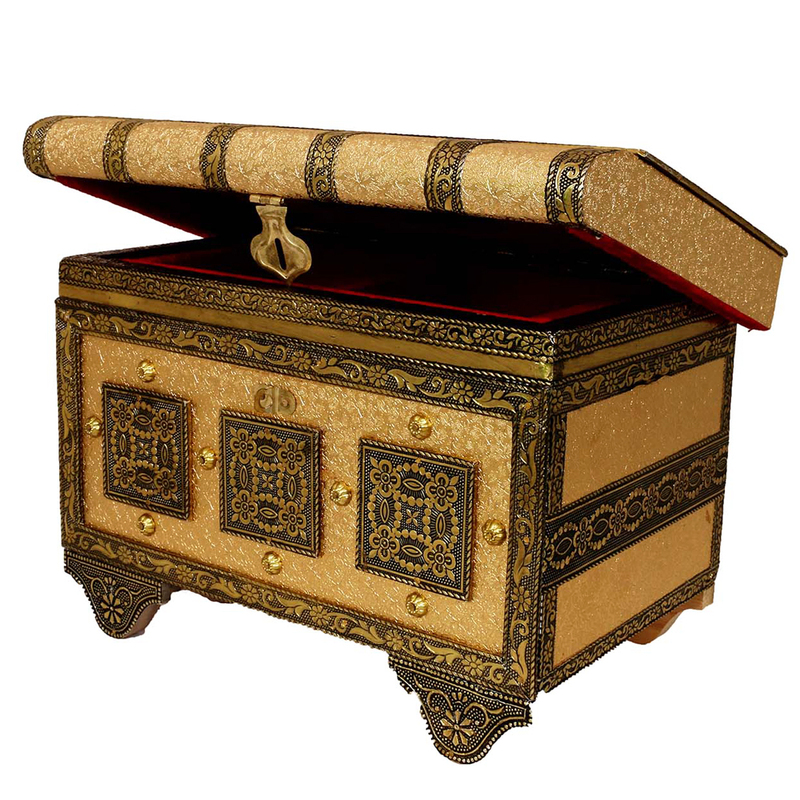 Beautifully designed wooden box throughout the body, this jewellery box is best to keep your valuables safely at one place. If you gaze at this box once, you will feel this box is made thousands year ago to store hidden treasure of the king. Yes, Read More..craftsman of this box made it like this way. Made of wood, resin and brass also, this box is a perfect option to store your valuables and collectibles in a style in your bedroom. Show Less..